In this sequel to the classic work of Holocaust literature When Memory Comes, a Pulitzer Prize–winning historian returns to memoir to recount this tale of intellectual coming-of-age on three continents. 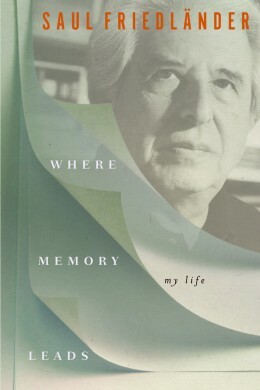 In many ways, Where Memory Leads is a reshaping of the contours of the first memoir, written from the perspective of old age; it is possibly a less artful book but also a richer and more candid one, providing glimpses of the turmoil and conflicts that afflict Friedländer under his public persona and 'the construction of a normal life' ... it's hard to get a sense of his fairly dazzling ascension because he keeps sidestepping his own achievements, picking up just when a juicy job offer comes into view, attributing much of his professional and academic success to 'luck' rather than his own gifts ... Where Memory Leads is an intellectual as well as personal meditation, and among the many pleasures of reading it is the lucid and insightful analysis it provides of the Israeli occupation ... it's a tribute to his consuming honesty and taste for understatement that the reader comes away with a sense of the complexity and hesitancy that marks a life that, in other hands, might have been presented as one long triumphal march. Where Memory Leads describes in more prosaic, chronological form the itinerary of a historian whose life work has been to piece together an account of massive, state-sponsored crimes while making a place for the voices of those mercilessly persecuted ... written in the key of history, a register that moves from meaning to message. Here, the author is crystal clear. 'The only lesson one could draw from the Shoah was precisely the imperative: stand against injustice.' Obligation fulfilled. It’s true that Friedländer is not the most introspective memoirist. In the whole of this book, he refers only cursorily to his two marriages and his three children, with whom he never discusses his own childhood ... Friedländer omits details of his thought and research process — what documents he uncovered, how his argument came together — which might have offered readers greater insight into his scholarship. And his retelling can feel desultory at times rather than modest. 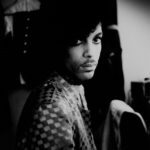 Toward the end, the book reads like a litany ... His inner life may simply be of less interest than his public life, of which there is much to be proud. What did you think of Where Memory Leads?